Here is a fun project for you to try. 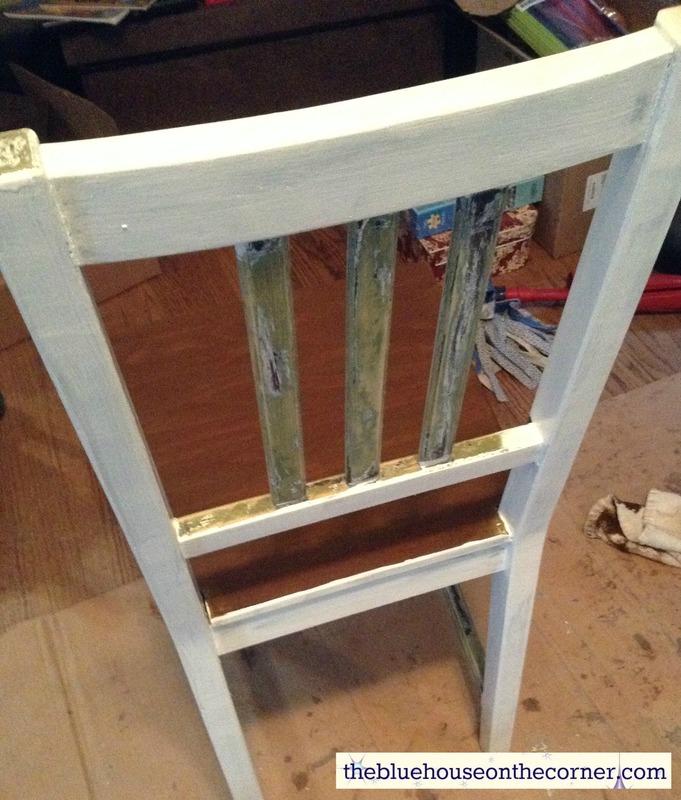 Add some new paint and awesome detail to a simple chair for a new WOW factor! My room mate had given me two chairs that were from Ikea. He didn’t like the green stain that was originally on there, so he painted them this charcoal colour. I wanted something more feminine for my craft room. I started by stripping the paint off. This Klean Strip was ranked # 1 last year! I usually use Circa 1850 but thought I would try this one out. It worked great! 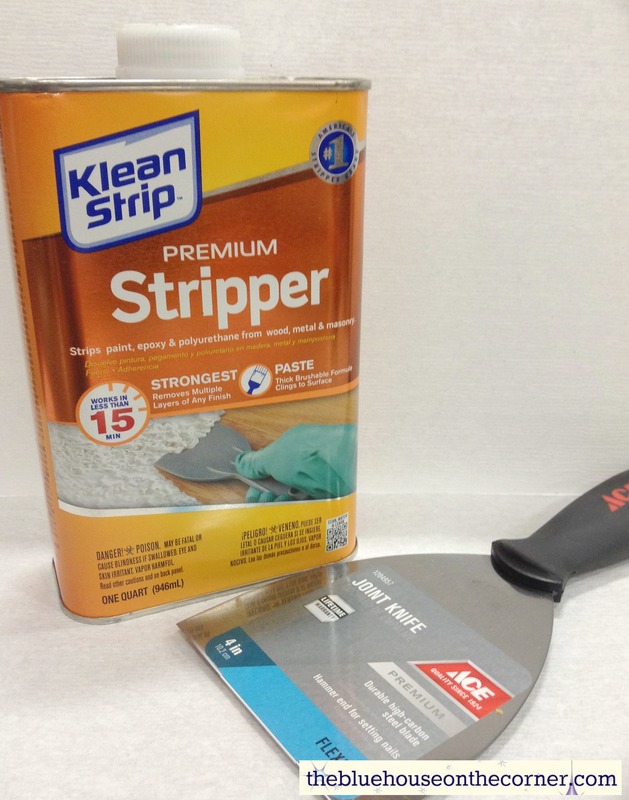 You can get this from any Hardware or Paint store for around $6.99 for the smallest container. After I cleaned the stripper off and the wood was dry, I sanded everything smooth. I tried my best to sand away all of the green stain, but wasn’t that successful. But it didn’t matter in the end… keep reading to find out. Pick your stain colour. I went with Saman, which is a water based stain, because I wanted to get this project done fast 🙂 If I would have used an oil based, stain, I would of had to wait 24 hours before continuing my project. With Saman, I waited 2 hours before I started the next step. 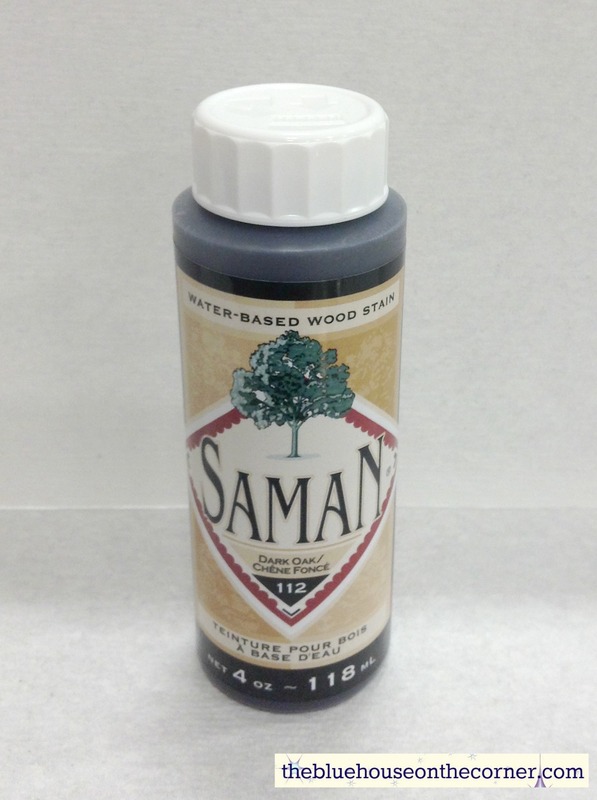 You can pick Saman up at most Benjamin Moore paint stores for $9.99 for the small jar. Stain the seat of the chair to the colour that you have chosen and let dry completely. Apply a second coat if you want a darker colour. I found my flower from googling “flower outline silhouette” I printed it out to the size that I wanted and placed it on the chair in the position that looked the best. 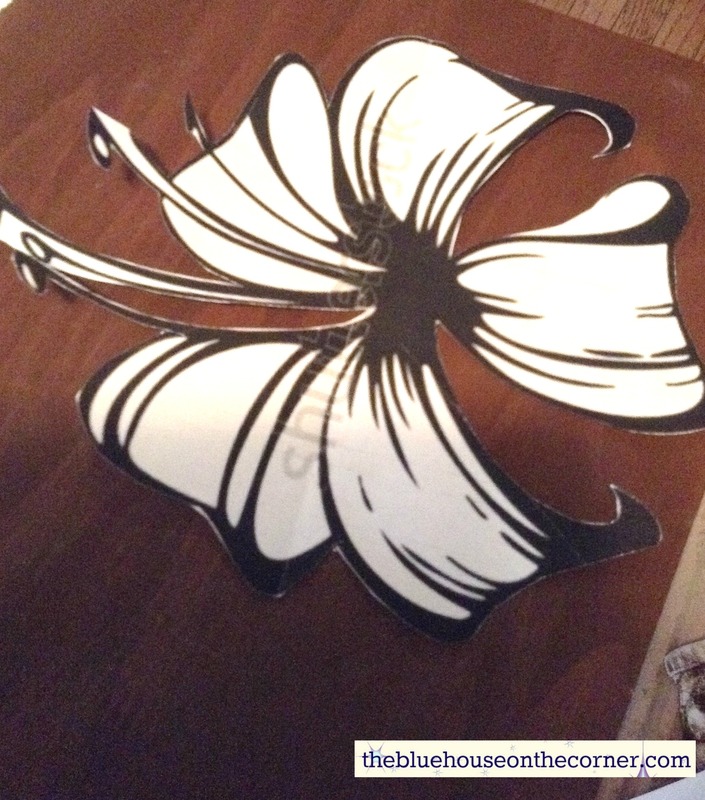 I then traced the flower with pencil and removed the paper. Now it’s painting time! 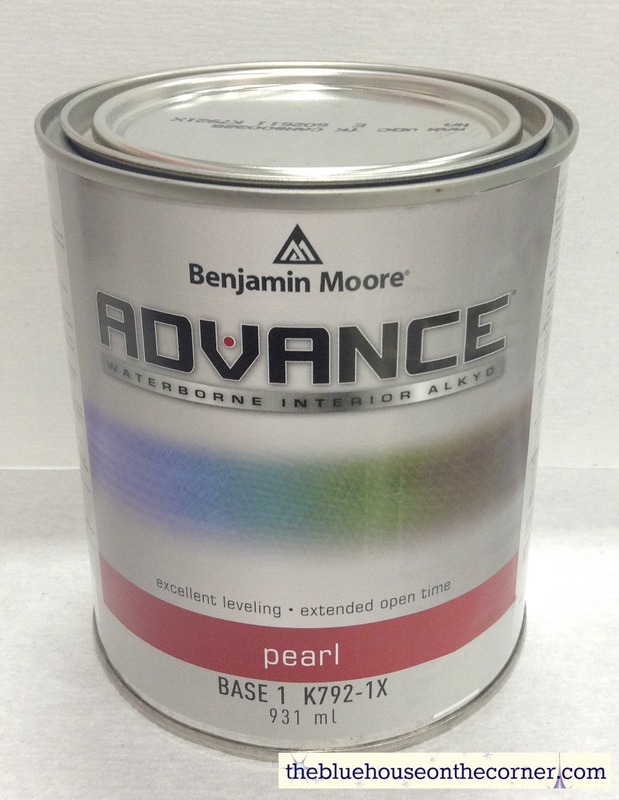 This is the BEST furniture paint in my opinion. It is a Hybrid. Oil based but water clean up. It will stick to most surfaces, and because of the oil resins in the product, it levels out amazingly! Eliminating most or all brush lines and roller lines. It comes in pearl, semi-gloss and high gloss finishes and can be tinted to ANY colour! I used pearl for this project in CC-50 White Down. 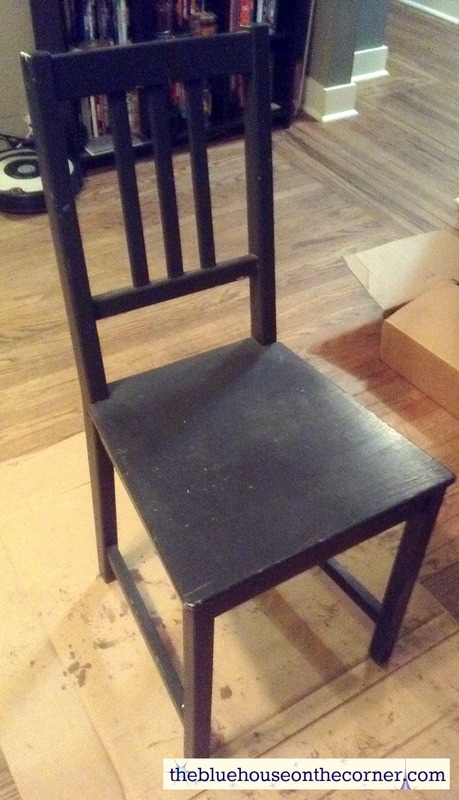 I just used a 1″ craft brush for the entire chair. And a smaller angle brush for around the flower. You don’t need to be exact with the outline because you’ll go over it with the metallic later. 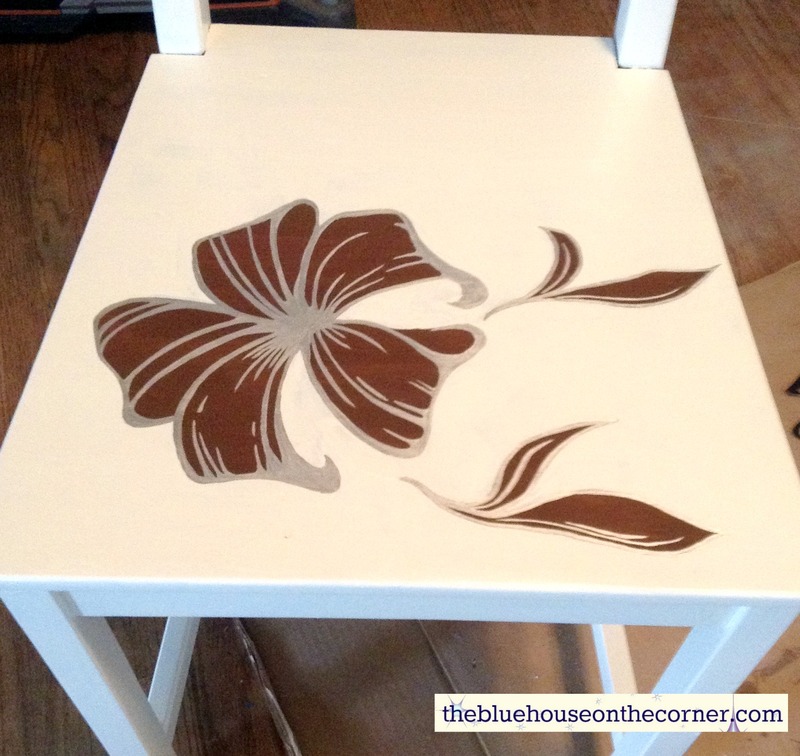 I needed to do about 3 coats on certain spots, especially around the flower. If I was able to roll it on it would have been only 2 coats. Allow to dry the right amount of time in between coats for optimum performance. Modern Masters can be purchased at most Benjamin Moore Stores. 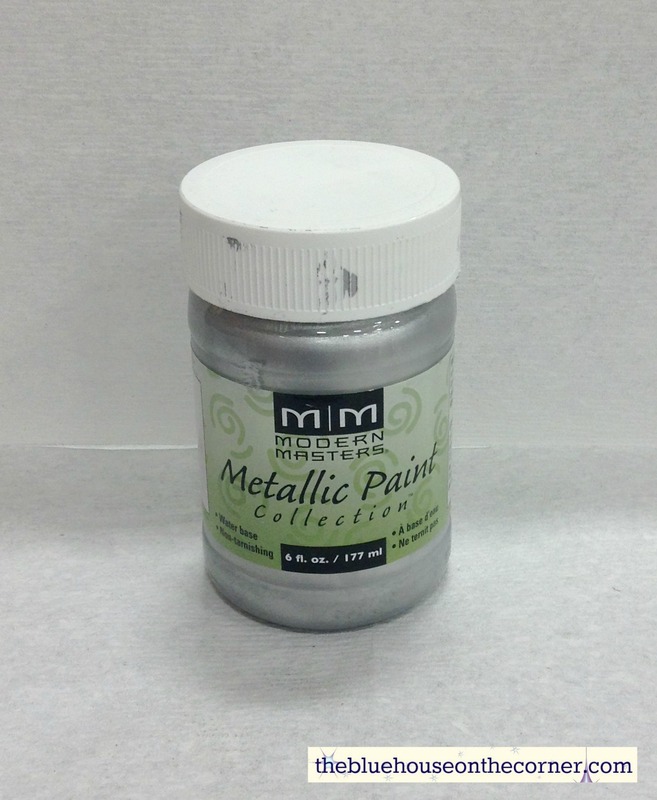 This line of metallic paint is my favorite! They have such a large variety of colours. I used silver for this project. 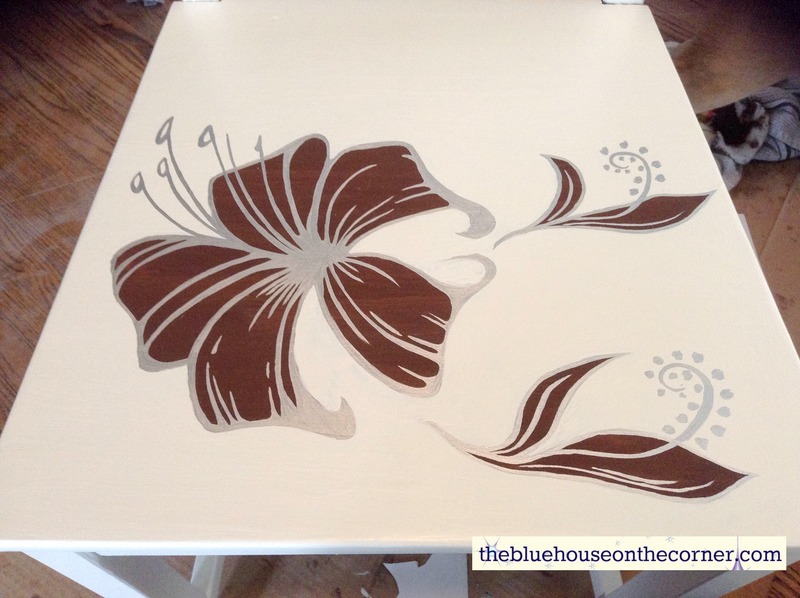 With a small brush, outline the flower in the metallic paint. 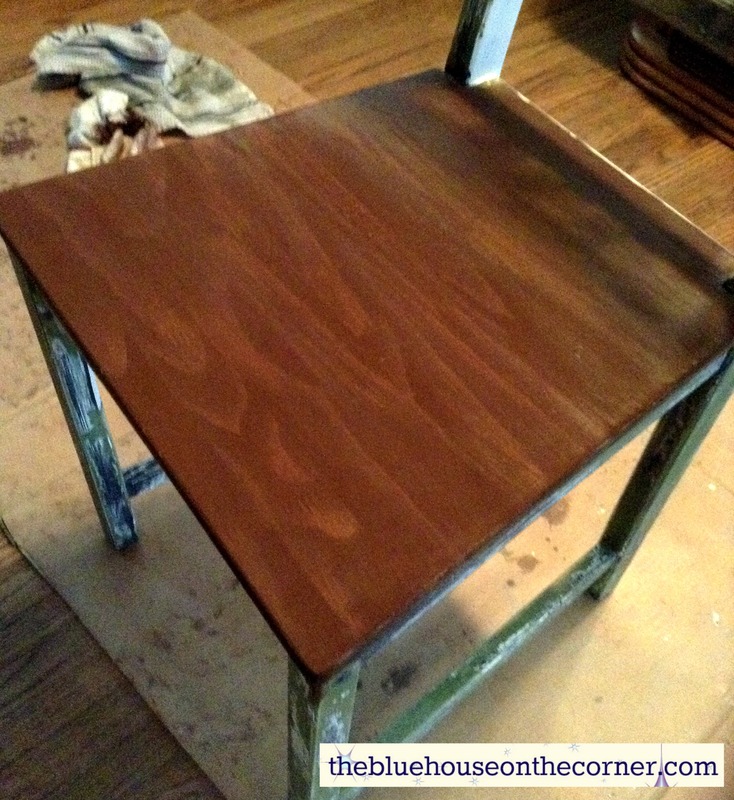 Then add all the details on top of the paint to complete the project! 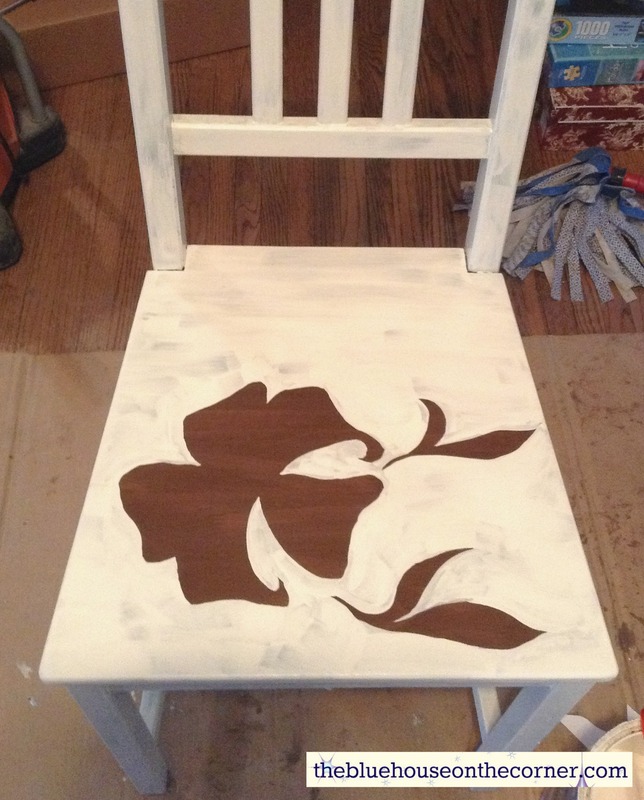 This chair is the perfect addition to my craft room! 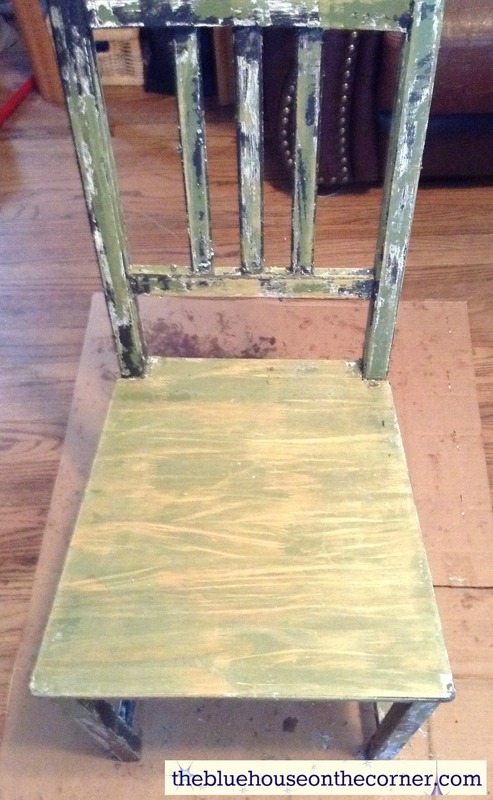 Stay tuned to see what I do with the other chair!